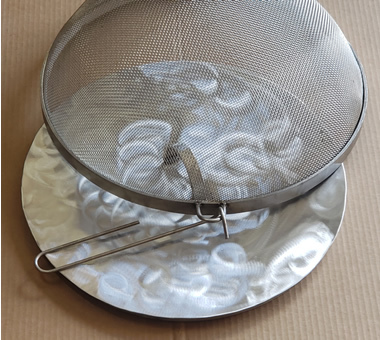 ON SALE Solo Stove Stainless Steel Snuffer Pan. 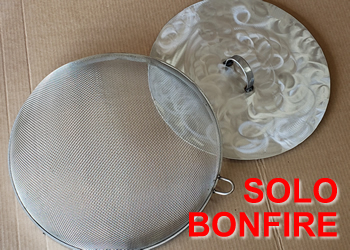 If you ever had an issue putting the fire out in your Solo Stove Bonfire fire pit? Here's some help. It's a snuffer an. 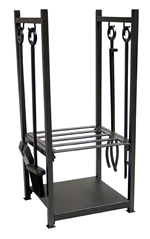 Dancing fire manufactures numerous products that are custom made to fit existing products manufactured by a third party. Such as this SNUFFER PAN made to fit the SOLO STOVE BONFIRE FIRE PIT. We also make a spark safety screen as well. The SNUFFER we manufacture is made of 304 Stainless Steel. It's cut to fit the opening with precision. The snuffer will fit under the screen my make as in one unit. What the snuffer does is it smothers the fire. Depriving fire of oxygen will extinguish to fire. We don't recommend you drop it on a rip roaring fire but it'll do its job. The main theory here to use the snuffer to snuff out left over embers and to prevent a re-occurring fire. It snuffs the fire out. Never leave a fire until you’re completely sure it’s put completely out. And the snuffer pan also adds to the beauty of your Solo Bonfire. We'll custom make you a Fire Pit Screen Tool just for you! THE PIT STICK! The Ultimate fire pit tool. The Pit Stick is the ultimate Fire pit Tool. It's a multi tool in one tool. This is an exclusive design by Dancing Fire Inc. This is the STAR Fire Pit stoker. The unique design on the head makes for a great fire pit tool. We custom sew Sunbrella Canvas material into fire pit covers. 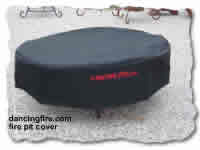 Most any size and many color choices.We make the cover to fit your fire pit. Plus we do furniture tools covers. We'll custom make you a Fire Pit Firewood Poker just for you! Put our snuffer pan on your fire pit before going to bed. This broom and shovel combination makes cleaning out your fireplace simple and easy. Clean up hot ashes safely. This Bucket is made to clean up hot ashes safely. Every fire pits needs something to cook dogs and marshmellows with! Cover Copper Fire Pit 30"
PROTECT YOU FIRE PIT! COVER IT! Cover Copper Fire Pit 36"